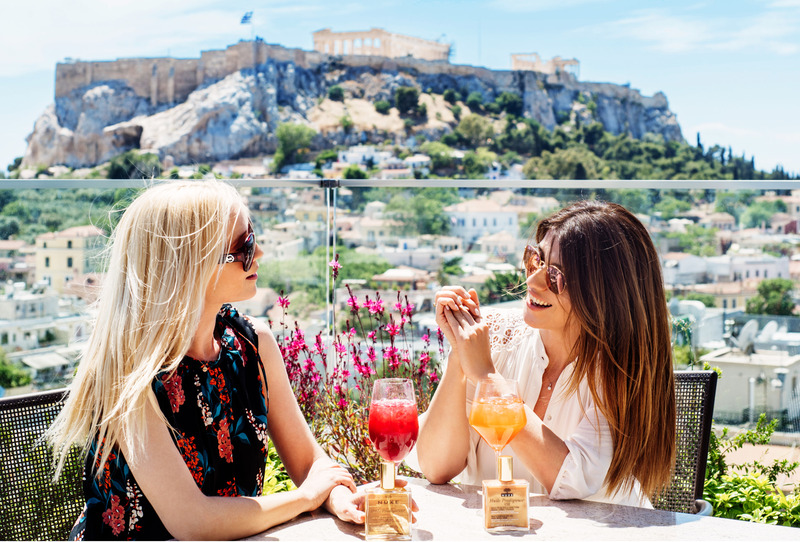 With the ultimate symbol of timeless beauty in the background, Mania Bousmpoura and Iliada Klagkou discovered that… the great beauty spirits think alike! Under the sparkling Mediterranean sun nothing rests hidden. So, when I met Mania in the amazing Roof Garden of Electra Metropolis in order to catch up on our news while having frozen cocktails, it was a matter of time before our common secret was revealed. When we meet, we always ask each other what we have tried on recently and if it got us excited, and the truth is that when I asked Mania what she wears and looks so radiant, I did not expect the answer given. Actually, she bent to take the answer out of her bag. For a few seconds I got that feeling of déjà vu – I think she may have felt the same when I showed her what I had in mine! After a few years of experience as beauty editors, with countless products that have passed through our hands (as well as our skin and hair), there are some of them – that we can count on our fingers – which have now entered the hall of fame of beauty. 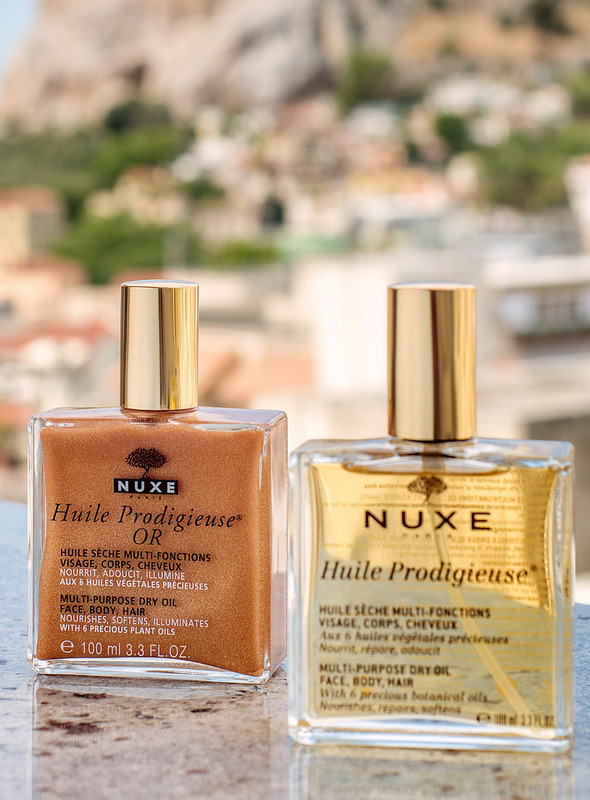 One of these is the Nuxe Huile Prodigieuse, the legendary dry oil that we both love, the most beloved secret of the French women for 25 years! And this success is not an accident. The Nuxe Laboratories have combined Vitamin E with 6 precious botanical oils of excellent quality, offering the ultimate face, body and hair care: sweet almond oil for softness, camellia for hydration, borage for anti-aging action, hazelnut for its soothing properties, macadamia for nourishment and argan for reparation. In fact, this year, Huile Prodigieuse is boosted with one more miraculous oil, the anti-aging and extremely nutritious tsubaki (it has been used by geishas for beauty purposes for many years), which protects the face against the environmental pollution as well as free radicals, and softens the colour of the stretch marks on the body by 30%, while it restores and softens the hair even more.